The first quarter of the year is over, which means it’s time to reflect on the top performing pharma stocks on the NASDAQ year-to-date. The end of each quarter is an opportune time to reflect on the top performing stocks of each industry — including the pharmaceuticals sector. Throughout Q1 2019, drug pricing remained a constant topic of conversation, even in Congress, where seven pharmaceutical executives were asked to testify on the rising costs of drugs. Over the course of the rest of the year, that trend is certain to continue, and so will an increase in access to drugs, according to a market research report from Deloitte. Interest in the sector remains hotter than ever, as more companies are diving into developing therapies for rare diseases, with seven having the potential to reach blockbuster status by 2023. In terms of top performing NASDAQ pharma stocks, a number of companies saw significant share price gains during the first quarter of the year. Below, the Investing News Network profiles the five top pharma stocks on the NASDAQ year-to-date. Data for this list was compiled using TradingView‘s stock screener. All companies listed have market caps between US$50 million and US$500 million, and information was current as of April 3, 2019. Here’s a look at those companies and what may have triggered a share price increase during Q1 2019. Scynexis is a company working on anti-ineffective therapies aiming to treat infections that can be difficult to treat or life threatening. The company’s ibrexafungerp is a novel intravenous therapy that treats a number of fungal infections, including volvovaginal candidiasis, invasive candidiasis, invasive aspergillosis and refractory invasive fungal infections. Throughout the first quarter, Scynexis had a bevy of news for investors, but perhaps most notable was its late January release of positive interim results from its Phase 3 open-label FURI study. Results demonstrated that ibrexafungerp had clinical benefits in 17 out of 20 patients in the study, which will help Scynexis further its new drug application (NDA) to the US Food and Drug Administration (FDA). The company also anticipates having approval from the Limited Population Pathway for Antibacterial and Antifungal Drugs. Rockwell Medical is focused on end-stage renal disease and chronic kidney disease with a variety of products in its pipeline. The company’s lead product, Triferic, is an FDA-approved iron-maintenance drug that balances hemoglobin in dialysis patients. The company’s other dialysis products include hemodialysis concentrate, CitraPure and Dri-Sate. It also has a range of ancillary products. In mid-March, the company disclosed positive data from two studies evaluating intravenous and peritoneal dialysate forms of Triferic. According to the release, Rockwell anticipates submitting a NDA to the FDA sometime in Q2 2019. Fortress Biotech is focused on developing and in-licensing clinical-stage assets. The company currently has at least 25 programs in clinical development with its partnered companies. Some of those organizations include Avenue Therapeutics (NASDAQ:ATXI), Checkpoint Therapeutics (NASDAQ:CKPT) and Mustang Bio (NASDAQ:MBIO). At the end of January, Fortress Biotech announced that one of its partner companies, privately held Caelum Biosciences, had formed a strategic partnership with Alexion Pharmaceuticals (NASDAQ:ALXN) for the development of CAEL-101 for light chain amyloidosis. Eyenovia develops products to treat diseases in the front and back of the eye. The products it is developing are primarily focused on treating diagnostic mydriasis, progressive pediatric myopia, elevated intraocular pressure in chronic angle and open-angle glaucoma and ocular hypertension. The company currently has four products in different stages of development, including MicroPine, which will enroll in Phase 3 trial in 2019; Micropost, which is also enrolling in a Phase 3 trial this year; Microstat, which has completed Phase 3 and has a NDA currently being prepared; and MicroTears, which has an over-the-counter monograph registration this year. In February, Eyenovia revealed confirmatory results from the second MicroStat Phase 3 registration for Mydriasis, which enrolled 70 patients who had both eyes treated with the drug. The primary outcome of the trial was to determine mean pupil dilation 35 minutes after being given the treatment; it proved to be superior to the placebo given in terms of mydriatic effect. Chiasma is a company working to improve the lives of patients who are struggling with existing treatments for rare and serious chronic diseases. The company’s Transient Permeability Enhancer technology platform aims to develop and commercialize oral treatments that are only available as injections. Chiasma is also developing octreotide capsules to help maintain treatment of acromegaly in adult patients. This is currently in a Phase 3 clinical trial under a special protocol assessment agreement with the FDA. Topline data results from this trial are slated for sometime in Q3. A Phase 3 trial with the European Medicines Agency is also underway with the same treatment for the same indication. Enrolment for the run-in phase is expected to be completed in Q2 while topline results are anticipated during the second half of next year. 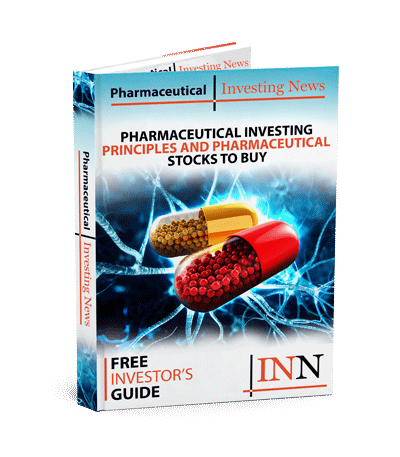 Marinus Pharmaceuticals (NASDAQ:MRNS) — up 56.45 percent to US$4.45.